News last week that a translation of Beowulf by J.R.R. Tolkien is forthcoming caught me by surprise. I had presumed that we had reached the end of Tolkien’s major works to be published posthumously by his son (following the 2013 publication of the incomplete Fall of Arthur and the 2009 publication of The Legend of Sigurd and Gudrún). Clearly I was wrong. 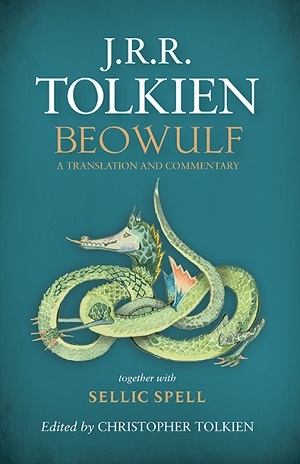 I can think of no better person to translate Beowulf than Tolkien. In fact, it’s thanks to him that most of us have even heard of the Anglo-Saxon poem. While many people think of Tolkien primarily as a fantasist, his day-job was actually as an English professor. And his major focus was in Old English—the language of Beowulf. But in Tolkien’s day, texts like Beowulf were not studied for their literary value. Instead, scholars merely attempted to extricate historical data from them, with philologists using them primarily as source material for the study of the evolution of the English language. The idea that Beowulf was literature was not a question even entertained. Today scholars debate numerous things about Beowulf. They debate the date of authorship, whether the Christian elements are original (or tacked on later), and many more things besides. But they do not really question whether the poem is a work of art. That seems obvious now. But the fact that it seems obvious is thanks to Tolkien. How fitting that the man who resurrected Beowulf in the imagination of our generation should at last have his own translation of the poem likewise resurrected. I for one couldn’t be more eager to read it. 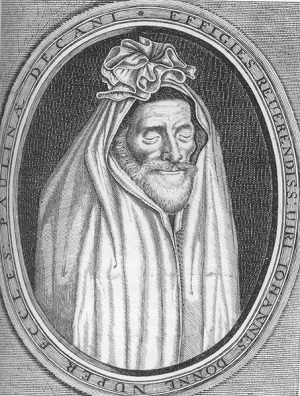 Last week a post of mine on the poets John Donne and George Herbert went up at First Things (entitled “In Praise of Dead Poets”). It begins by referencing a fascinating article by Miranda Threlfall-Holmes in The Guardian, where she attributes her conversion to Christianity to the poetry of Herbert. I use her experience as a launching pad for a discussion of my own university encounters with Donne—with a particular focus on one class in which we read his Devotions Upon Emergent Occasions. The book was interesting, to be sure, but I wondered what my classmates would make of it. This was not poetry, even if it was poetic. Would they even consider it literature? I confess that as I went to class that day, I did not expect much. I had convinced myself that discussion of the book would be, at best, limited. I was shocked to discover the opposite. My classmates were engaged—extremely engaged—by this centuries-old reflection on sickness and death. And this wasn’t merely academic reflection on the book; students were sharing their own griefs and fears about death. This was personal confrontation with Donne’s subject, deeply felt. This is truly the point of poetry like Donne’s and Herbert’s—not merely to appreciate it, but to converse with it. To be changed by it. Indeed, as I go on to explain, this was Herbert’s own hope for his poetry. Threlfall-Holmes’ article in the Guardian suggests that Herbert’s poetry continues to do just that: introduce others to faith. And such writing serves not only as an introduction; it further offers life-long encouragement and comfort to the faithful. The lesson we learn from Herbert and Donne and countless others then is that the voices of the dead are not silent. No, they are powerful and effective even now. May God continue so to use dead poets. Check out the whole thing at First Things. And thanks to Gene Veith for sharing the article with his readers. Captain Thin is powered by	WordPress 5.0.4 and delivered to you in 0.376 seconds using 33 queries.